Backpacking and comfort are not synonymous. People head out on a backpacking trip to get out of their comfort zone and closer to nature. While that’s a romantic notion, the real challenge is finding the perfect balance of comfort and discomfort. You spend roughly 33% of your time backpacking inside your tent, so finding a quality tent is one-third of the battle. The perfect backpacking tent is going to be ultralight, pack into a small area, and be durable enough to handle all conditions. Your tent is your home away from home and taking some extra time to find a tent that meets all the criteria is well worth your time. We have put together a list of the best backpacking tents that cover all the bases. 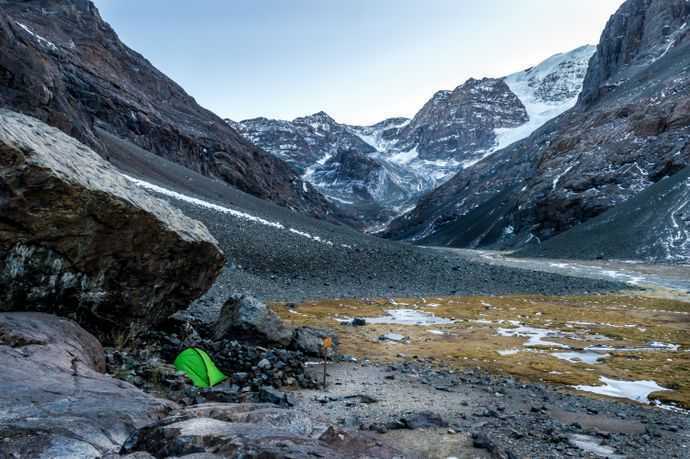 What makes a backpacking tent different? 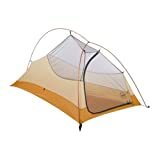 Do I need a 1 or 2 person tent? Three or four season tent? How easy does it setup? How many doors do I need? There are a large number of factors to take into consideration when purchasing a backpacking tent. What makes a quality backpacking tent doesn’t necessarily make a good camping tent. A backpacking tent is going to be your home for weeks or possibly months on end, depending on how long your trip is. It should be ultralight, durable, affordable, spacious, and comfortable. The weight of the tent is one of the most important factors to consider. With a backpack full of gear on your shoulders for days on end, finding one that weighs as little as possible will make the entire trip more enjoyable. A couple ounces here or an ounce there may not seem like much, however, every ounce adds up. A good rule of thumb for the solo backpacker is to size your tent up one. In other words, if you’re packing a tent for 1-person then look for a 2-person tent. It will give you more room and with tent fabric and technology you won’t be adding a massive amount of weight. For the ultralight backpacker, a single person tent or a backpacking hammock is the lightest option. If you are backpacking as a couple and plan on sharing the tent, a 2-person tent will be the most practical option. Tents typically come in two different seasonal ratings, 3-season or 4-season. We’re going to focus on 3-season tents since they are the most used backpacking tents. 3-season tents are built for fall, spring, summer, and can handle an occasional light dusting of snow. If you plan on backpacking in snowy conditions, a 4-season tent is required. The majority of backpacking tents are bulky when packed, so don’t expect to find a tent that packs down into the size of a softball. 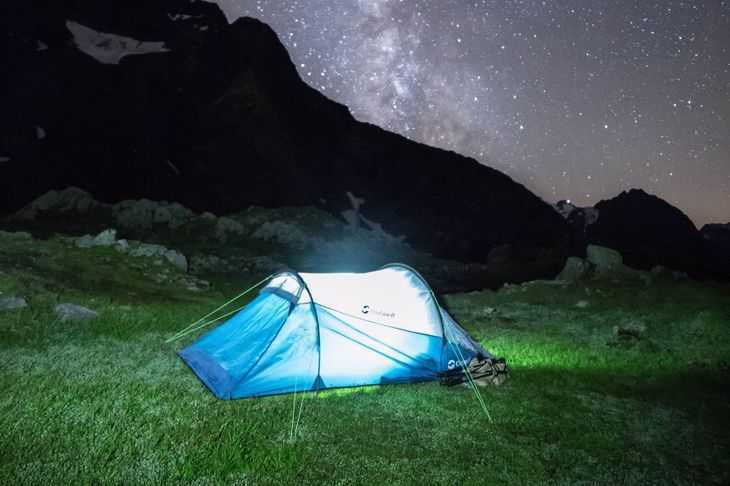 Backpacking tents vary in size and shape, however, a good rule of thumb is your tent should pack down to around 18 inches in length and 5 to 6 inches in diameter. The packable size is not just the tent fabric itself, it also includes the length and width of the poles and the size of the stuff sack. Take every piece of tent gear and include it in the packed size. At the end of a long day hiking, the last thing you want to do is struggle setting up a tent. A freestanding tent is the quickest and easiest to set up. Freestanding tents are a speedy and hassle-free solution. Tents that are not “freestanding” require more gear to pitch, which equates to more weight on your back. Typically, they take more time and are more challenging to pitch. A backpacking tent is ultralight by design for obvious reasons. The easiest way to limit the overall weight is limiting the fabric used during construction. Most backpacking tents are going to have limited interior space to save precious ounces. For a one-person tent, one door is the standard. If you plan no sharing your tent with someone else, it’s much easier to have a couple doors for access. Crawling over people on the way to the restroom in the middle of the night is annoying for everyone in the tent. It’s going to be nearly impossible to find a 1 or 2 person tent that you can stand up in. Smaller tents are shorter by design, so standing up is a luxury that you’re most likely going to have to go without. The majority of tents that are taken on a backpacking trip are tall enough to sit up in and that’s about it. Besides the standard four walls and a floor, there are other options that add luxury and weight. Most of these are personal preference, however, if you are spending a lot of time inside it you might as well make it yours. We put together a list of our picks for the best backpacking tents of 2018. The MSR Hubba Hubba NX 2 Backpacking tent is a wildly popular backpacking tent that is consistently used by thru hikers. It has is dome shaped with an intuitive design and takes about 3 minutes to get up and 5 minutes to take down. The tent body has two doors and large mesh openings for increased ventilation. In terms of holding up in weather this tent can withstand rain, wind, and high heat comfortably. 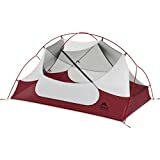 This is a freestanding tent and the tent poles are connected together so no fumbling around and fighting them when pitching your tent. Big Agnes Fly Creek HV tents use high volume pole architecture to increase the space inside. It comes with a dry entry vestibule to keep your gear and pack dry in wet conditions. The tent has reflective guylines and webbing on the tent corners for increased visibility. Every seam on the tent is taped with waterproof polyurethane tape. It comes with 3 interior mesh pockets and includes 11 aluminum stakes. The door has a vertical construction which adds more volume to the interior of the tent. ALPS Mountaineering Lynx is perfect for backpacking the AT, PCT, or Continental Divide. It is lightweight, small, and extremely easy to set up and take down. There isn’t a ton of headroom, however, it does rise to 36″ in the middle of the tent, so a short scoot solves that problem. This tent is freestanding with a 2-pole aluminum design. The rainfly attaches with four simple buckle-clips, there are no obscure and random pieces to fumble around with. The door and vestibule come equipped with large #8 zippers for increased durability. The Nemo Hornet is designed with the ultralight backpacker in mind. Weighing in at just over a pound it manages to be one of the lightest tents around while maintaining all the modern benefits you expect from a tent. It comes with a Tree Tub floor designed to be durable and keep the water out. The poles come with hubbed intersections which link up to create a single pole for a simple and easy setup. The guyouts are triangular, increasing the maximum space on the interior of the tent. The stuff sack is dual stage, meaning that the tent and poles both pack into their own bag and then it’s placed on a larger stuff sack. 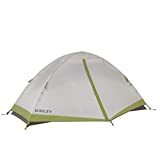 The Kelty Salida 1 tent is designed for 1 person, however, they do offer 2 and 4 person tent as well. The 4 person tent is too heavy for backpacking and the 2 person tent works but we’re going to focus on the 1-person tent. The Kelty 1 is proven to work on long distance backpacking trips on nearly any terrain and climate. The floor is 68D PU coated floor and the walls are taped which makes this tent waterproof from the factory. It is a freestanding tent that comes with backpack friendly folding poles, gearloft loops, and color coded clips. There is ample room to sit up in the tent and it packs down into a manageable space. There’s little to no assembly required with ALPS Mountaineering Zephyr 1-person freestanding tent. The pole design is intuitive and the entire tent can be set up in a matter of minutes, without any instructions. It comes with #8 zippers, mesh storage pockets, aluminum stakes, gear loft, and guy ropes. The tent is material is durable and thin at the same time. There is room inside the tent for yourself and a few small pieces of gear. The floor can get damp from moisture in the mornings so using a footprint or a tarp is recommended. The Luxe Tempo Breeze 1 is a solo-backpacking tent made durable and ultralight fabric designed to last multiple seasons. The steep walls are designed to increase space inside without adding any extra weight. It includes to roomy vestibules for easy access and dry gear. This tent uses state of the art technology in the building material. Silicone coated nylon is both ultralight and extremely durable, you get the best of both worlds. The zippers and welding are both carefully crafted, so flimsy zippers, exposed seams, and weak stitching is a non-issue.